Every so often, Hollywood produces a movie that is unreasonably cruel to teenage girls everywhere. What do I mean by that? 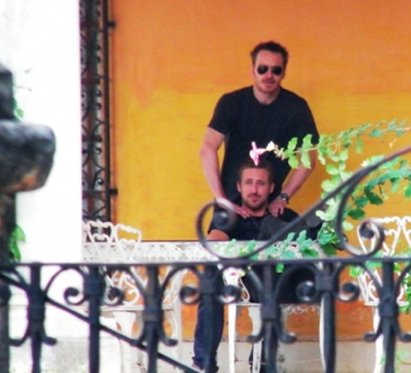 Let’s consider Terrence Malick’s next movie, yet untitled, starring Ryan Gosling, Michael Fassbender, and Christian Bale. They don’t come prettier than that. People are going to see that movie expecting to bask in an excessively pretty cast, but they won’t have a good time because it’s a Terrence Malick movie. Sorry, ladies, I don’t know if this shoulder rub is going to make it into the movie. What about 2011’s The Ides of March starring Ryan Gosling and George Clooney? So good! Wrong, it’s a drama about the American political system. Well, what about a pairing of Ryan Gosling and Bradley Cooper, the two men who are considered by many teenage girls to be the epitome of handsome. Surely that’ll be a good time, right? …nope. Sorry. Normally, right about now, I muster all the grace and professionalism of break dancing pachyderm and launch into a plot synopsis, but I’m not going to do that this time, because I don’t think it would be prudent, because The Place Beyond the Pines is, in fact, three separate movies. The Plot: Handsome Luke (Ryan Gosling) is motorcycle stuntman for a travelling carnival. When doin’ his thing in Schenectady, New York, he encounters Romina (Eva Mendes), a woman with whom he had an affair a year prior. She’s doing well. Livin’ in a house, has a serious boyfriend (Mahershala Ali), workin’, goin’ back to school. Y’know, regular single mom stuff. Anyway, it was nice seeing you again. Wait, single mom stuff!? Even though they don’t need him, Luke quits his job with the carnies and starts to look for work in Schenectady, hoping he can provide for his family, even though they don’t need him. It’s not long before he turns to robbing banks to get the job done. This is by far the strongest section of the movie. It might sound that Luke is kind of dumb, doing the wrong thing in order to the right thing that nobody needs or wants him to do, but he is an incredibly nuanced character. Ryan Gosling does a flawless job bringing Luke to life and embodying a very complicated and unique brand of honor: the skuzzy, backwoods, illogical kind that’s built entirely on an ill-placed, but clearly defined sense of right and wrong. Gosling’s performance is so strong and the writing is so realistic that the viewer never needs to ask, “Why?” Even as he gets in way over his head, and it’s clear that things aren’t going to end well, and he’s not even making the positive impact on his son’s life that he wanted to, he just keeps going, but we understand why he does it. Derek Cianfrance’s direction in Act I is, for all intents and purposes, without fault. Watch the trailer. There’s a point when this slow, heartbreaking piano music starts to play and we get a lot of tracking shots of the forest. That’s what Act I is in a nutshell. That’s what central New York is in a nutshell. Cianfrance is, I think, from Colorado (?). I don’t know if he has any connections to the Schenectady area, but he captured that place perfectly. Act I is so very engrained in its setting, and is easily the best portrayal of that setting I’ve ever seen. It’s not a very flattering depiction, but it’s honest, and in a weird way, it kind of made me miss New York. Hey girl, why don’t you let me take the baby for a while and you go do something nice for yourself? You’ve earned it. The Plot: Avery Cross (Bradley Cooper) is a Schenectady cop who was recently wounded in the line of duty. No longer fit for patrol, he is reassigned to run the evidence locker. It’s not long before some of his old buddies on the force start trying to exploit his position by stealing things from the locker. Avery has an internal battle over whether or not to rat them out, bearing in mind the consequences that those actions could have for him and his family (wife (Rose Byrne) and baby son). It’s not a serious wound. He just twists his ankle while trying to run like a goon. The Plot: Fast-forward fifteen years. Yeah, didn’t see that one coming. Act III focuses on the now teenage sons of Luke and Avery, Jason (Dane DeHaan) and AJ (Emory Cohen), respectively. Both misfits and drug users, Jason and AJ come together upon their first meeting in high school, and though from very different backgrounds and family situations, they strike an immediate bond. It soon becomes clear that AJ is only using Jason as a supplier, but as Jason slowly begins to uncover the history between Luke and Avery, he suspects there might be something more at play. Act II was a long and slightly unnecessary forty minutes, but we’re all back on board for Act III. Like Act I, Act III is fully linked to its setting, and so are the characters. Reflecting their fathers, Jason is just much more interesting than AJ, but I think in this case that’s intentional. He is really just a lost soul, a teenager without enough guidance in his life and a screwed up past. Dane DeHaan’s performance really rivals Ryan Gosling’s. Like father, like son, I guess. He’s just broken onto the Hollywood scene in the past year or so, with parts in Chronicle, Lawless, and Lincoln, all of which demonstrate his capabilities as an actor, but The Place Beyond the Pines cements that. The kid’s got a bright future ahead of him, career-wise. Act III does a superb job tying together all of the loose pieces of its predecessors. By the end of it, we feel like we’ve just witnessed a complete family history. Furthermore, it really kind of justifies Bradley Cooper’s prominence, as he ends up being the central figure of the narrative. He’s not the main character, or anything, but he is the element that ties it all together in the end. 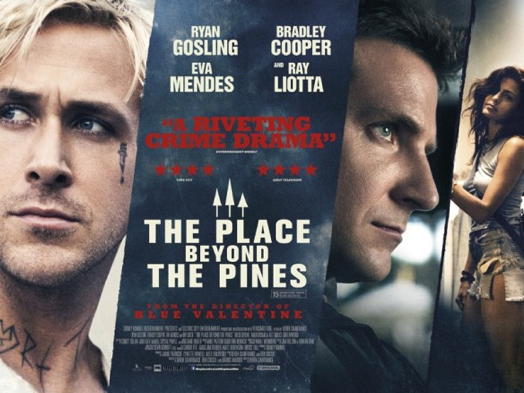 Ultimately, though, The Place Beyond the Pines sets a lofty goal for itself, and falls short of it. The premise is daring and ambitious, as the film tries to show us a single story that lasts multiple generations across two different families. There is no main character, because no one really has more than forty minutes of screen time. I’ve given this a lot of thought, and I’ve decided that it may have been wiser to make a trilogy. If each act were its own movie, then we would have had more time with Ryan Gosling, they would have had enough time to flesh out Bradley Cooper and make him more interesting, and the sudden leap forward in time wouldn’t have been disorienting. Rather than being a long movie that tries but doesn’t fully succeed, they could have made a definitive saga of family in the American lower class. It probably would have been really successful and popular, because critics and viewers tend to both love that kind of thing, and it would have been pretty damn original. 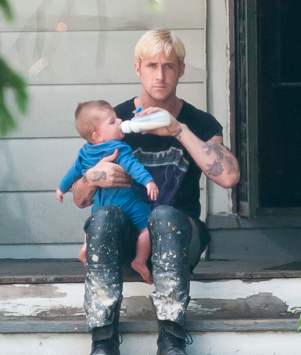 The Place Beyond the Pines isn’t a disaster, though. Final vote: it’s a good film, but it could have and should have been better. April 21, 2013 in Movie Review.